What Does a Hard Drive's Seek Time Mean? The seek time is the time it takes a specific part of a hardware's mechanics to locate a particular piece of information on a storage device. This value is typically expressed in milliseconds (ms), where a smaller value indicates a faster seek time. What seek time is not is the total amount of time it takes to copy a file to another hard drive, download data from the internet, burn something to a disc, etc. Though the seek time does play a role in the total time it takes to complete tasks like these, it's nearly negligible when compared to other factors. Seek time is often called access time, but in reality, the access time is a bit longer than the seek time because there exists a small latency period between finding data and then actually accessing it. The seek time for a hard drive is the amount of time it takes for the hard drive's head assembly (used to read/write data) to have its actuator arm (where the heads are attached) positioned in the right location on the track (where the data is actually stored) so as to read/write data to a particular sector of the disk. Since moving the actuator arm is a physical task that takes time to complete, the seek time might be nearly instantaneous if the head location is already in the right track, or of course longer if the head has to move to a different location. Therefore, a hard drive's seek time is measured by its average seek time since not every hard drive will always have its head assembly in the same position. 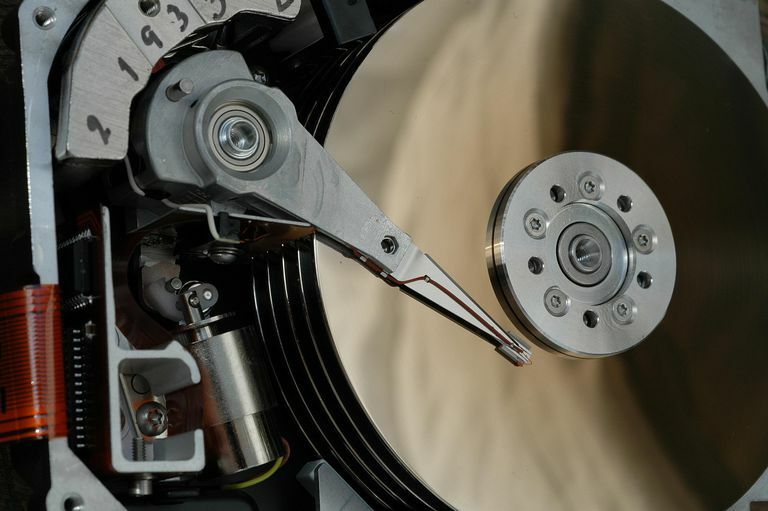 A hard drive's average seek time is typically calculated by approximating how long it takes to look for data over one-third of the hard drive's tracks. Though the average seek time is the most common way to measure this value, it can be done in two other ways too: track-to-track and full stroke. Track-to-track is the amount of time it takes to search for data between two adjacent tracks, while full stroke is the amount of time it takes to seek through the entire length of the disk, from the innermost track to the outermost track. Some enterprise storage devices have hard drives that are intentionally smaller in capacity so that there are fewer tracks, subsequently allowing the actuator a shorter distance to move across the tracks. This is called short stroking. These hard drive terms might be unfamiliar and confusing to follow, but all you really need to know is that the seek time for a hard drive is the amount of time that it takes the drive to find the data it's looking for, so a smaller value represents a faster seek time than a larger one. The average seek time for hard drives have been slowly improving over time, with the first (IBM 305) having a seek time of about 600 ms. A couple decades later saw average HDD seek time to be around 25 ms. Modern hard drives may have a seek time around 9 ms, mobile devices 12 ms, and high-end servers having around 4 ms of a seek time. Solid-state hard drives (SSDs) don't have moving parts like rotating drives do, so their seek times are measured a bit differently, with most SSDs having a seek time between 0.08 and 0.16 ms. Some hardware, like an optical disc drive and floppy disk drive, have a larger head than a hard drive and so have slower seek times. For example, DVDs and CDs have an average seek time between 65 ms and 75 ms, which is significantly slower than that of hard drives. Is Seek Time Really All That Important? It's important to realize that while the seek time plays a necessary role in determining the overall speed of a computer or other device, there are other components that work in tandem that are just as equally important. So if you're looking to get a new hard drive to speed up your computer, or to compare multiple devices to see which one is the fastest, remember to consider other aspects like the system memory, CPU, file system, and software running on the device. For example, the total time it takes to do something like download a video from the internet doesn't have much at all to do with the seek time of a hard drive. While it's true that the time to save a file to the disk relies somewhat on the seek time, given that the hard drive doesn't work instantaneously, in an instance like this when downloading files, the total speed is more influenced by network bandwidth. The same concept applies to other things you're doing like converting files, ripping DVDs to a hard drive, and similar tasks. Can You Improve an HDD's Seek Time? Though you can't do anything to speed up the physical properties of a hard drive in order to increase its seek time, there are things you can do to improve overall performance. This is because a drive's seek time alone isn't the only factor that determines performance. One example is to reduce fragmentation by using a free defrag tool. If fragments of a file are spread all about a hard drive in separate pieces, it's going to take more time for the hard drive to collect and organize them into a solid piece. Defragmenting the drive can consolidate these fragmented files to improve access time. Before defragmenting, you might even consider deleting unused files like browser caches, emptying the Recycle Bin, or backing up data that the operating system isn't actively using, either with a free backup tool or online backup service. That way the hard drive won't have to sift through all that data each time it needs to read or write something to the disk.